Using textured wallpaper, different painting techniques, and materials like tin tiles are all effective ways to create depth in your kitchen design. Butbe careful, limit the texture to only one wall of your kitchen as an accent wall. 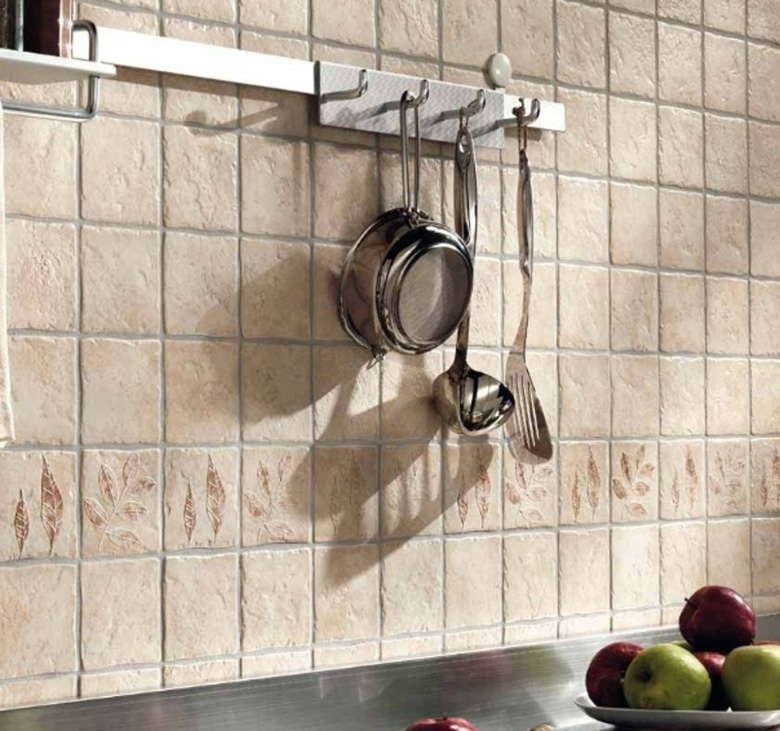 Too much textureon your walls wll result in a cluttered, closed feeling in your kitchen. 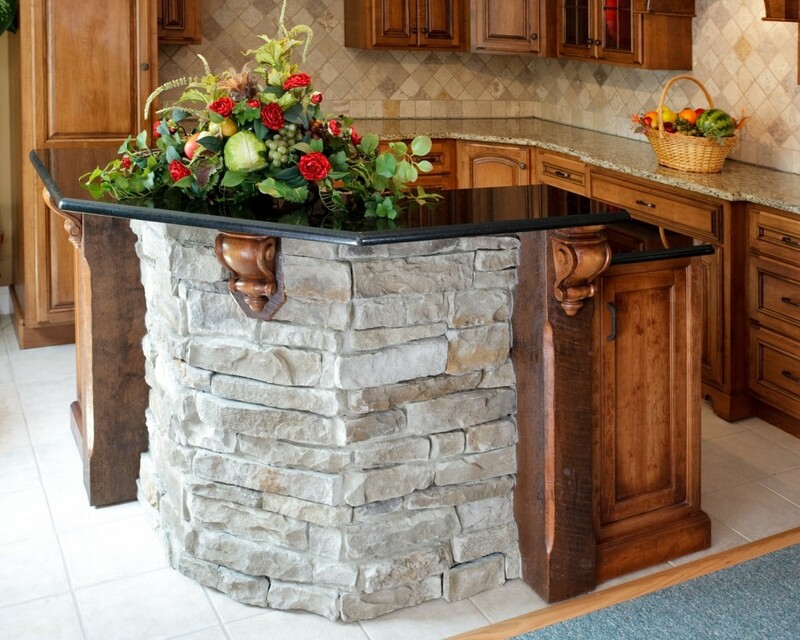 Adding texture to the faces of your island is a subtle, yet effective way to add texture to your kitchen design. The island is already at the center of your kitchen, so make it stand out with interesting materials like metals and glass and contrasting colors. 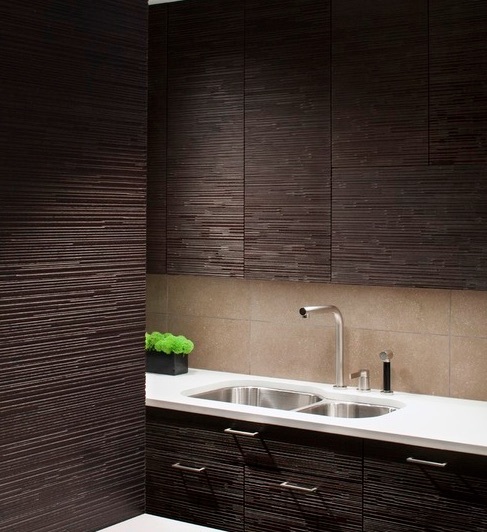 Just like adding texture to your walls, creating depth on your cabinets is a great way to create visual interest in the room without overwhelming the eye. Because most kitchen cabinets are made of wood; shaped veneers are added to the face of the cabinet to create the desired texture. We’re all familiar with the dreaded, out of date popcorn ceiling technique that seems to plague older homes. Try adding materials like pre-pasted vinyl wallpaper, wooden beams or tin tiles to create a classic and modern appearance, at the same time. 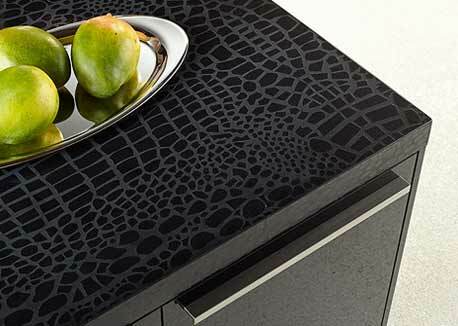 Quartz Caesarstone Lace and Crocodile Black and White countertops are an innovating and exciting new way to add texture to your kitchen. Be bold with these visually interesting countertops that will have your company praising your expert and innovative design for years to come.